I hope you have enjoyed your winter break as much as we have! Ours was full of unexpected things, such as my trip to the ER and Explorer's trips to Children's, but the rest of the time was a lot of fun celebrating all things Christmas and just enjoying each other's company. This week we were back in the school room, and finished up our letter P unit. I made a few printables to enhance our learning, so I thought I'd share them with you :). 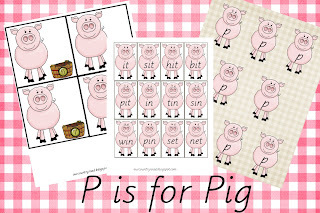 The P is for Pig Mini Pack can be downloaded FREE here: http://www.4shared.com/office/VN3EaoDq/PisforPig.html? 1) Uppercase and lowercase p sorting. Sorry! I dont have any hands on pictures of this one. 2) Pig and corn cards and counters. The object is to fill the bucket with the right amount of corn. Here we filled them with small pieces of plain popping corn. Or, I have included printable corn cobs like the ones that Charger is using here. And the final thing in the pack is a word family game. The set includes words from the -et, -en, -ip, -it, and -in families (based on the letters learned in our curriculum up to this point). I cut out mud pits out of felt and labeled them with word families. Mustang had to match each pig to its correct mud puddle. 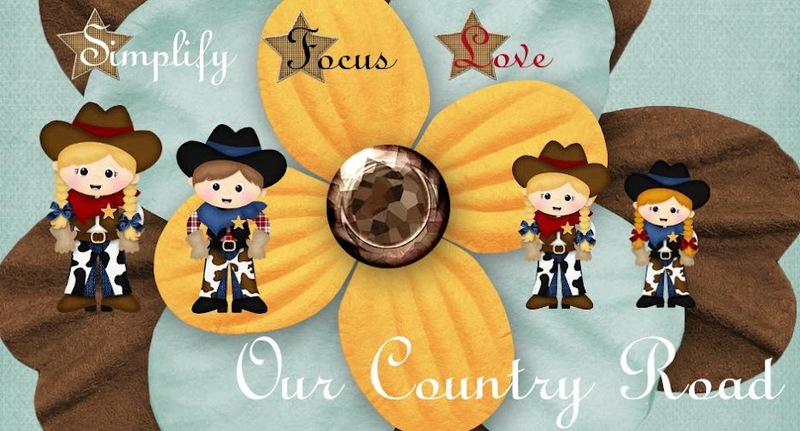 The graphics for this pack were made by Trina Clark and purchased from Digi Scrap Kits. Along with graphics from Just So Scrappy. Have a great week!! God Bless!! Adorable! I am pinning these for when we get the the Letter "p" :) I am planning to start a letter of the week soon! Thanks for sharing your awesome freebie at Thrifty Thursday! hope to see you this week! These are adorable - thanks for sharing!! I would love for you to pop over to TGIF kid oriented linky party tomorrow to link up - http://livinglifeintentionally.blogspot.com/search/label/Linkey%20Parties - I know my readers would LOVE them too!! The place where your treasure is, is the place you will most want to be, and end up being. Luke 12:34, The Message. Bible Activity Book: Jacob's Ladder FREE Printable!! Weekly Wrap Up: 4th of July Unit! Bible Activity Book: Abraham's Descendants Family Tree FREE PRINTABLE!! Bible Activity Book: Pharaoh's Dream FREE Printable!! A is for Apple Preschool and Kindergarten Free Printable Pack!